And then THIS shows up. Should You Watch the “Watchmen”? I don’t often like to give simple, one-word answers, but this film’s second weekend begins today, and it’s success this weekend will essentially determine weather it’s considered a success or a disappointment by Hollywood standards. I felt that I should say something to influence people in favor of more deserving films. 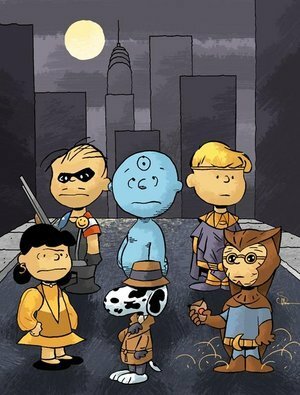 “Watchmen”, as you are no doubt aware, is based on a Hugo-award winning graphic novel (don’t call it a comic, someone will hurt you) and has been ranked on Time Magazine’s top 100 novels of all time. These oft-repeated facts are given to try to elevate people’s conception of the material (and the movie), above what people perceive as a “comic book” movie. I personally think that “Dark Knight” was all we needed, but apparently the people at Warner Brothers thought differently.